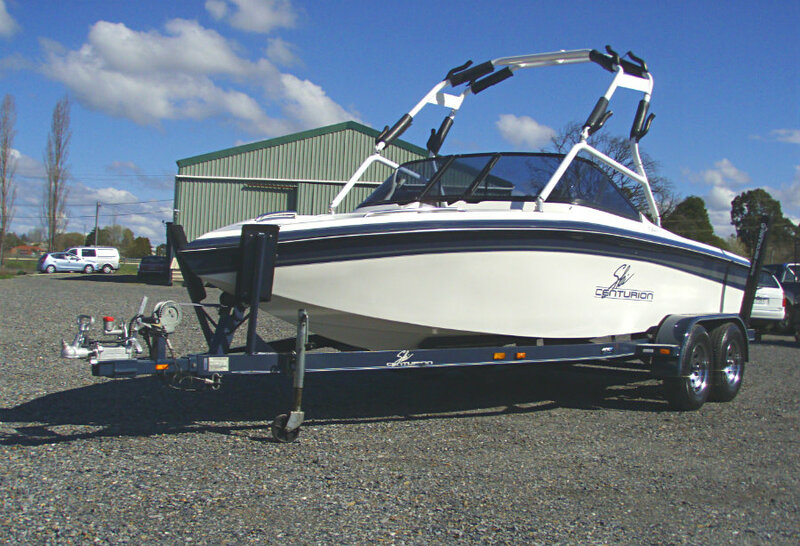 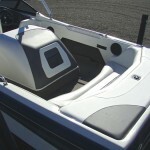 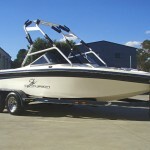 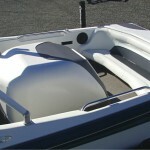 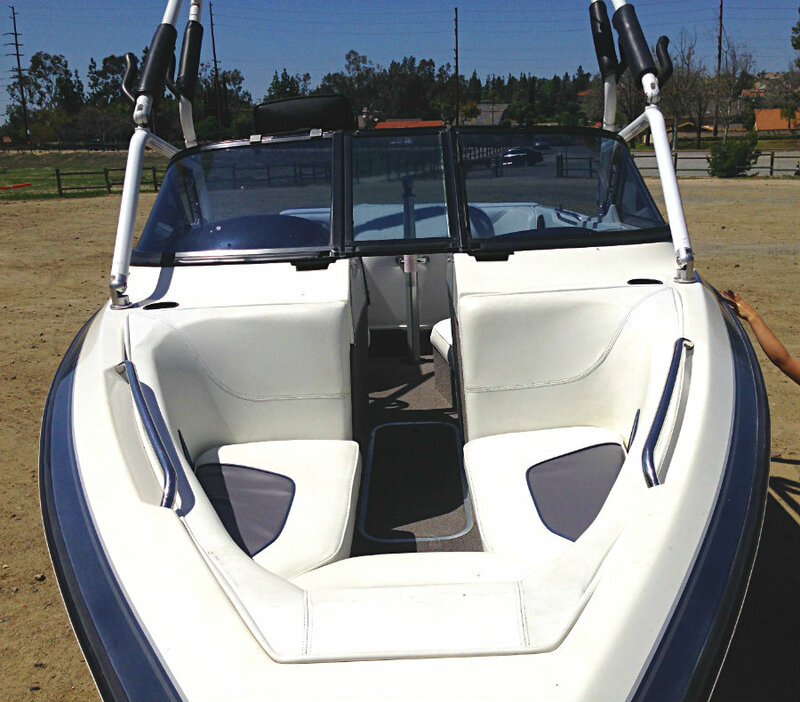 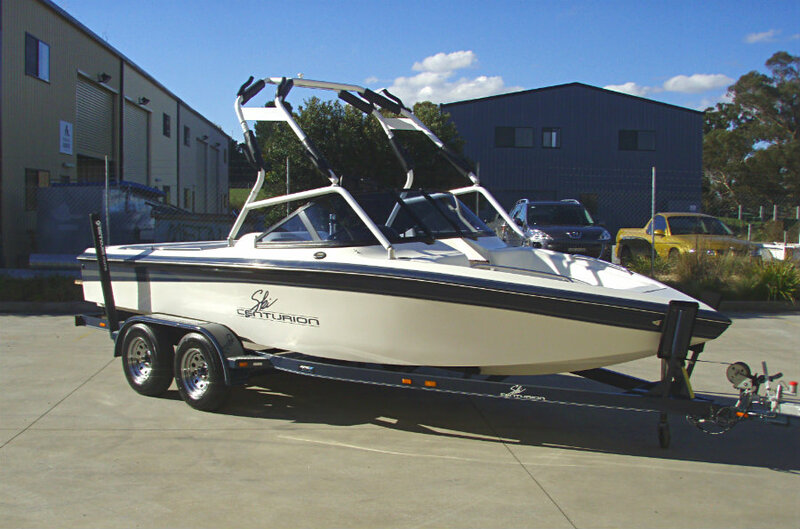 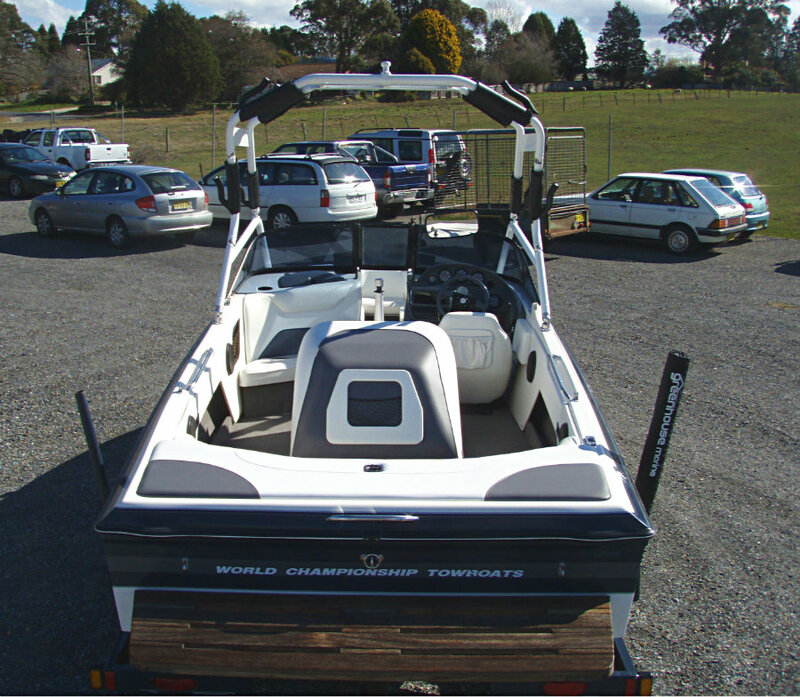 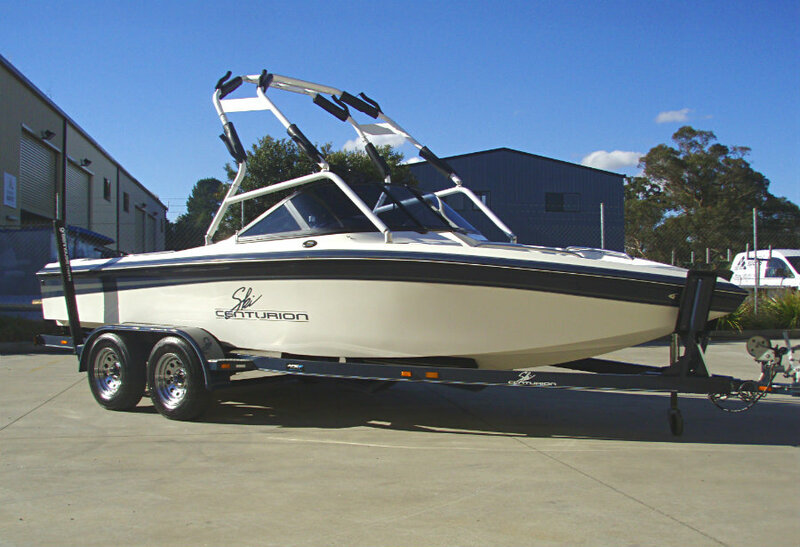 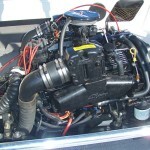 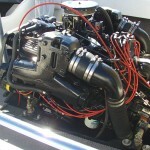 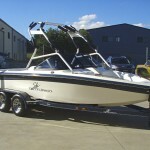 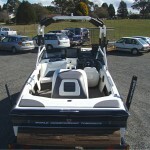 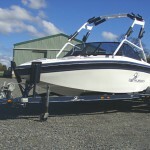 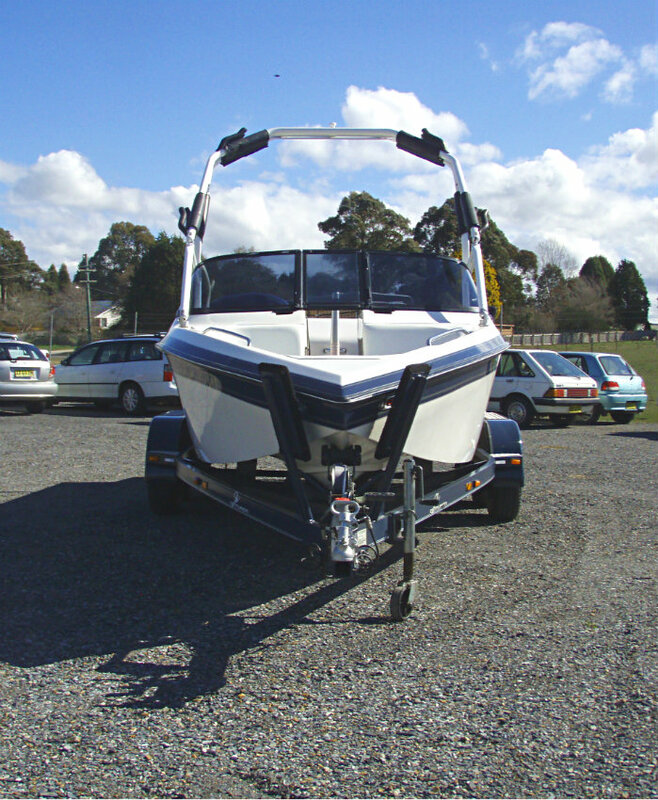 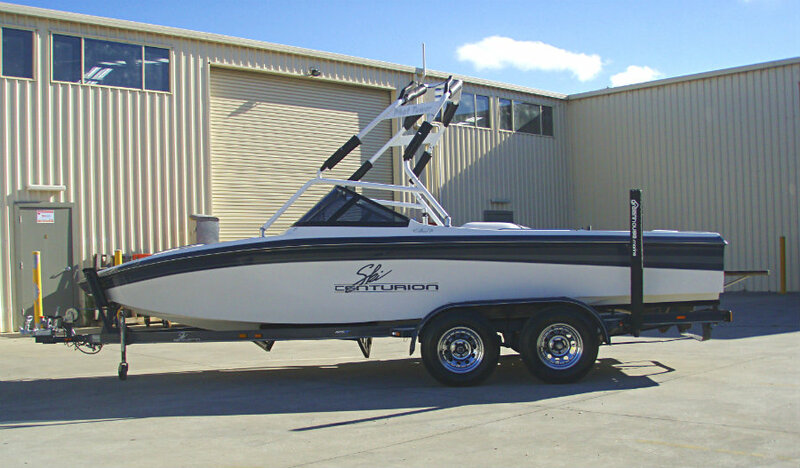 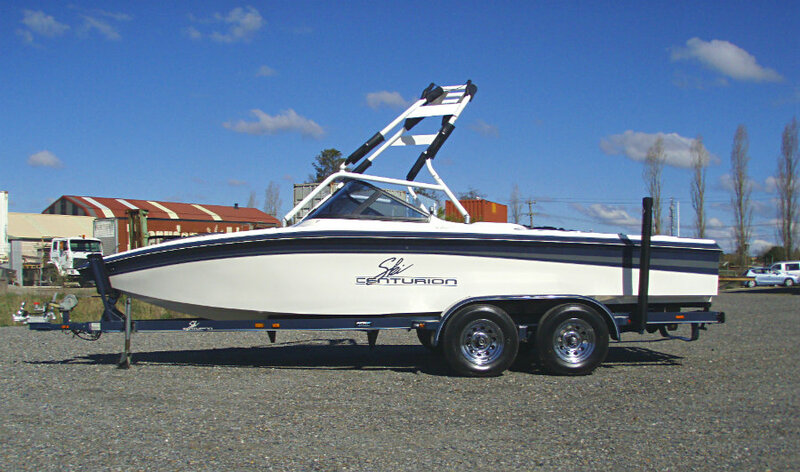 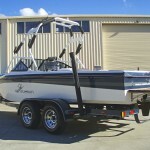 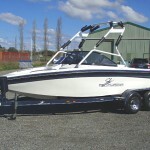 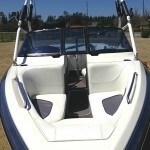 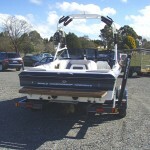 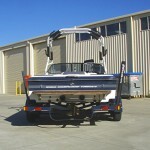 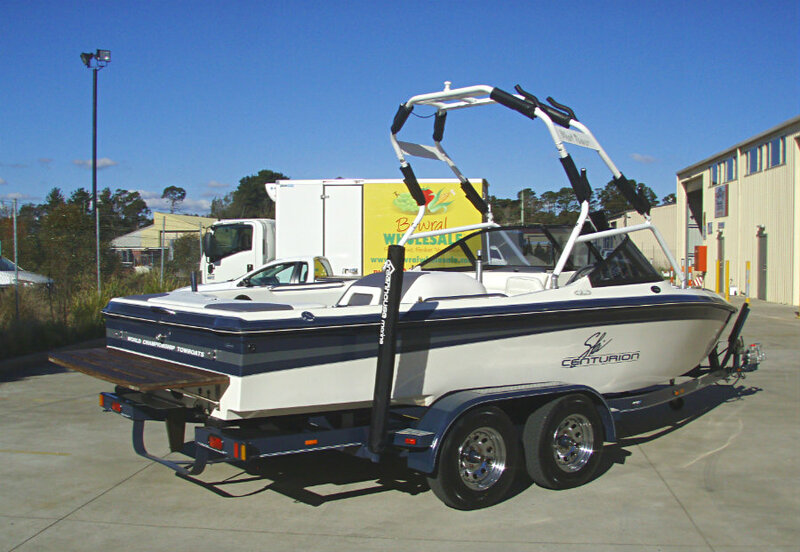 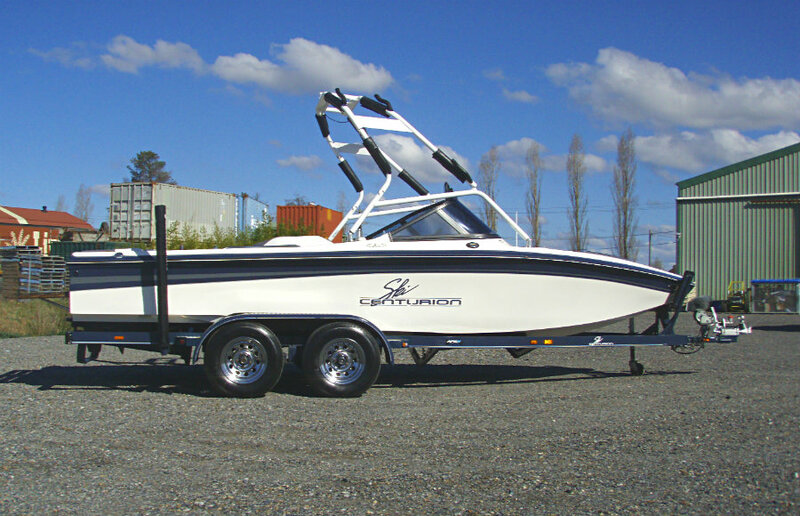 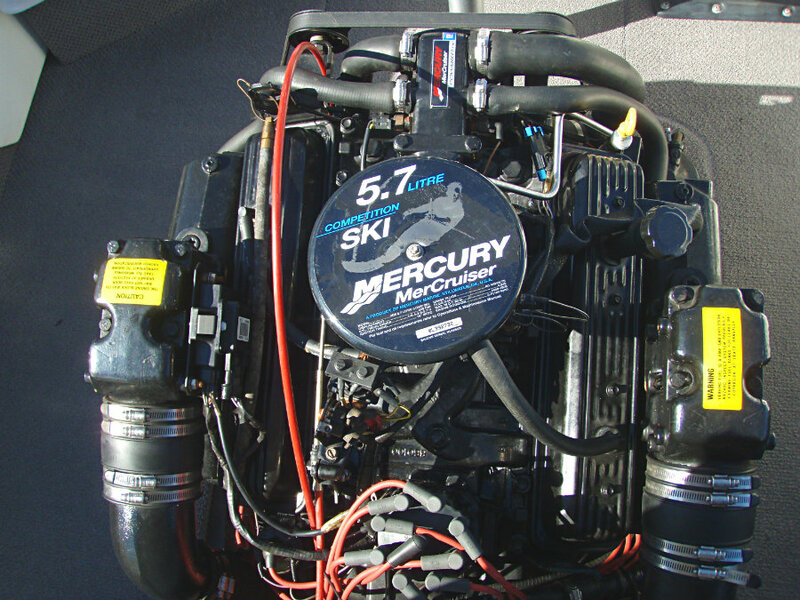 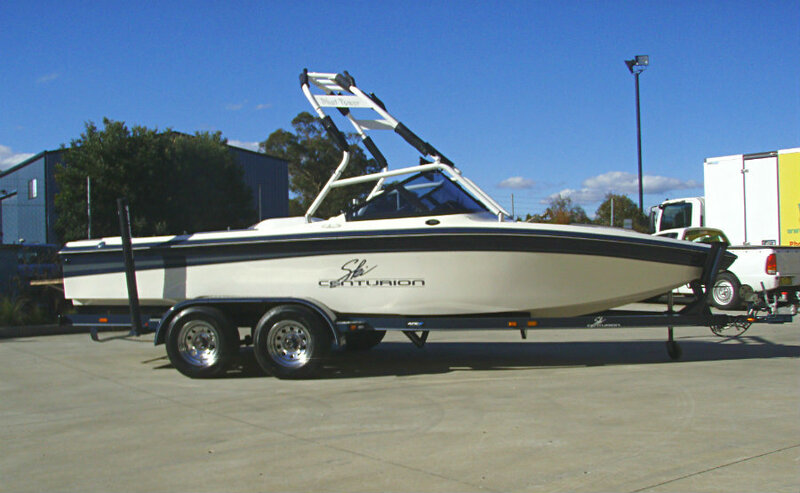 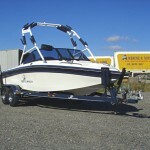 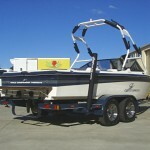 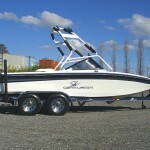 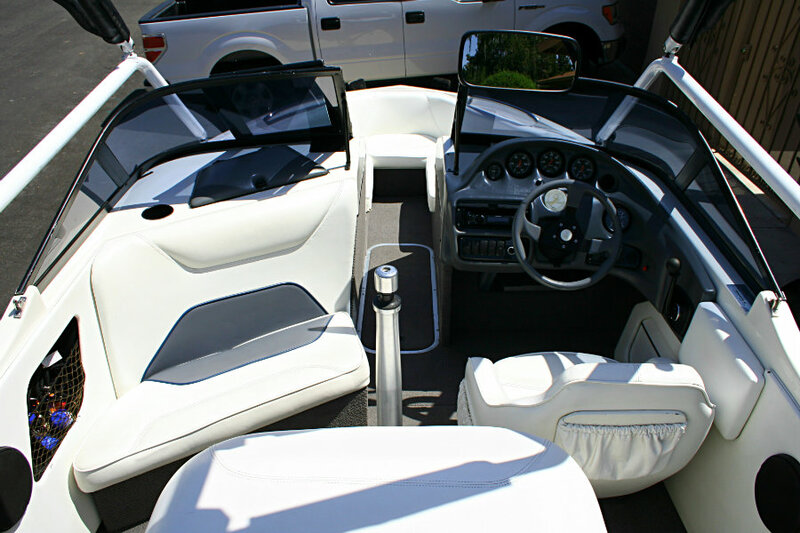 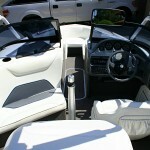 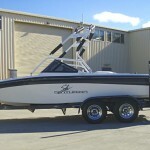 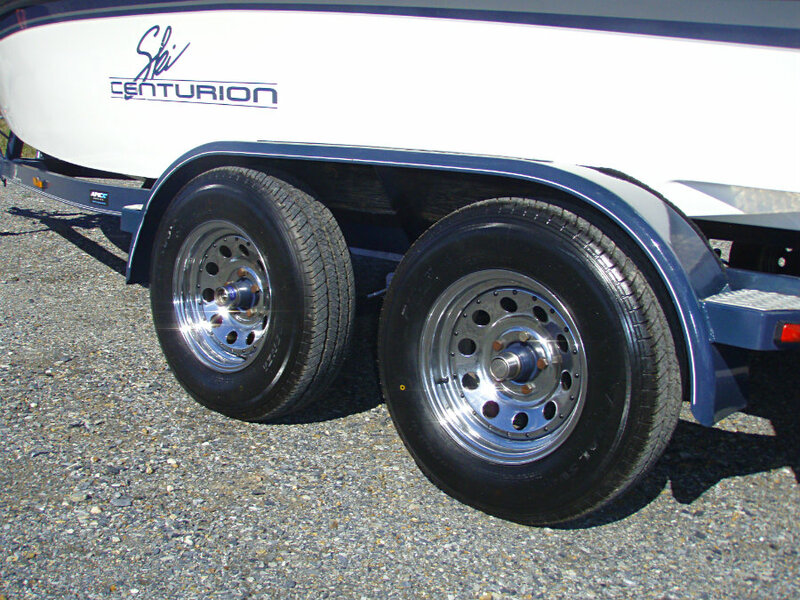 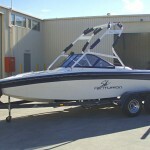 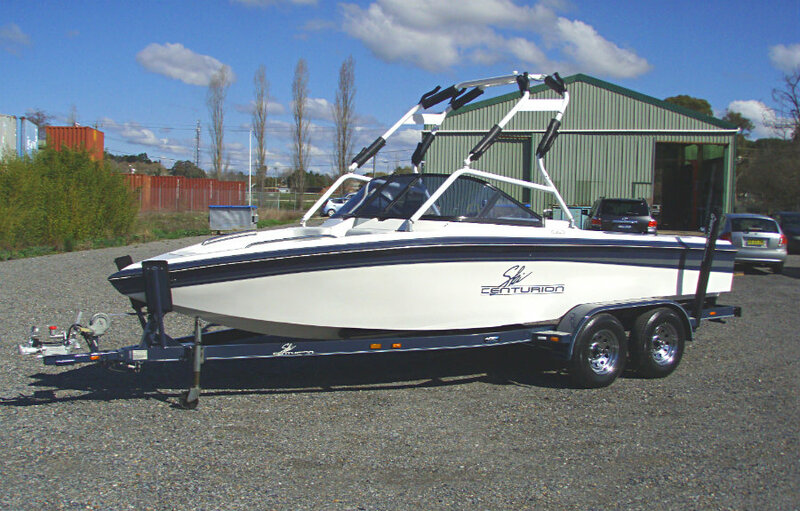 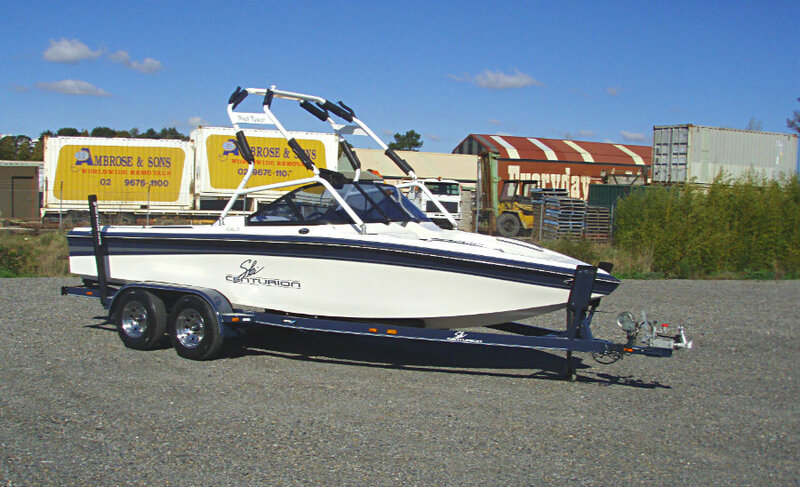 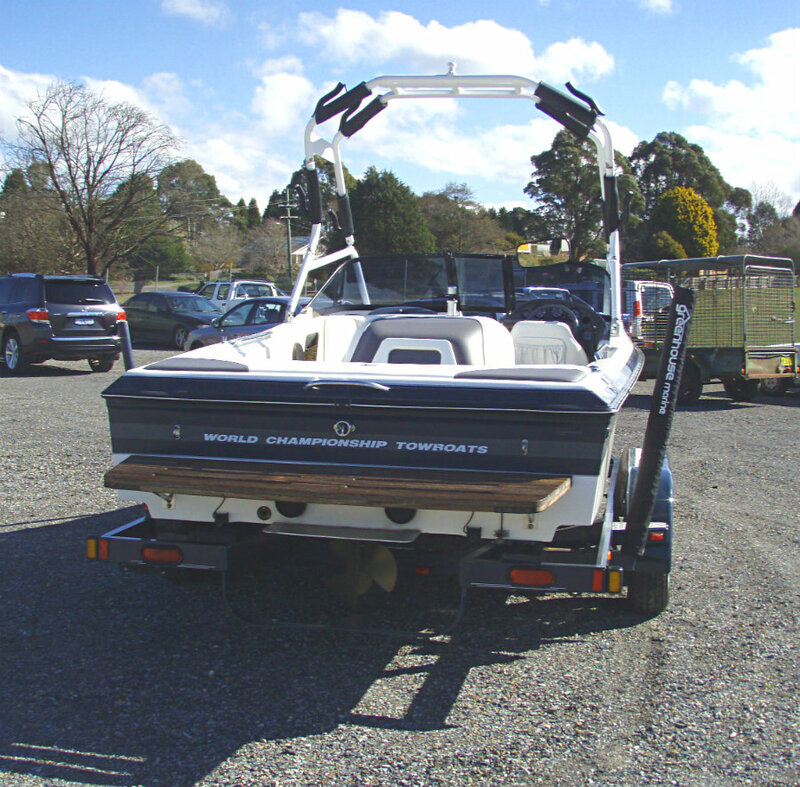 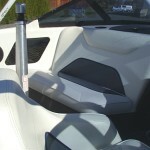 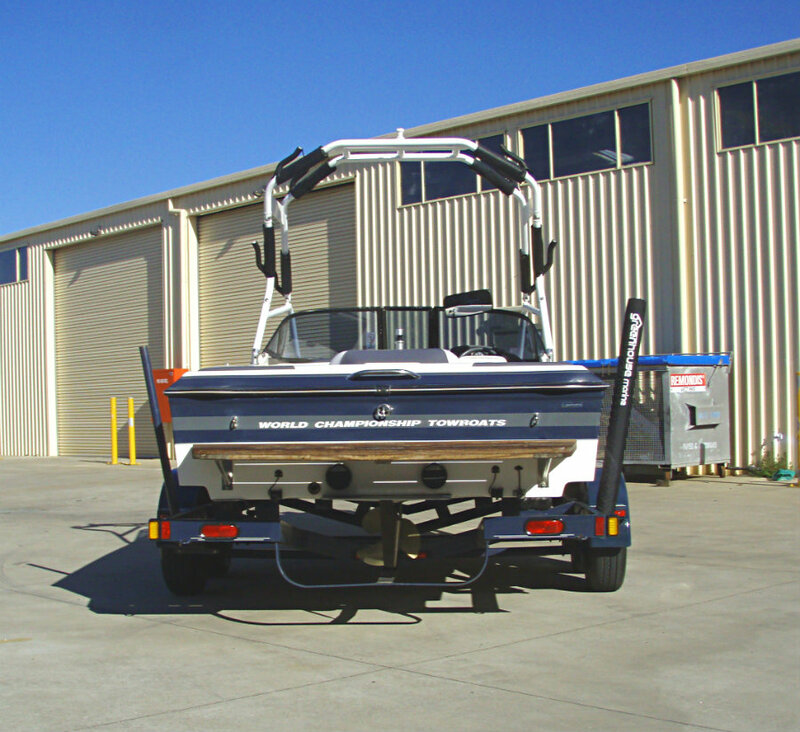 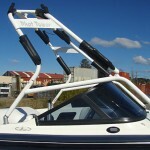 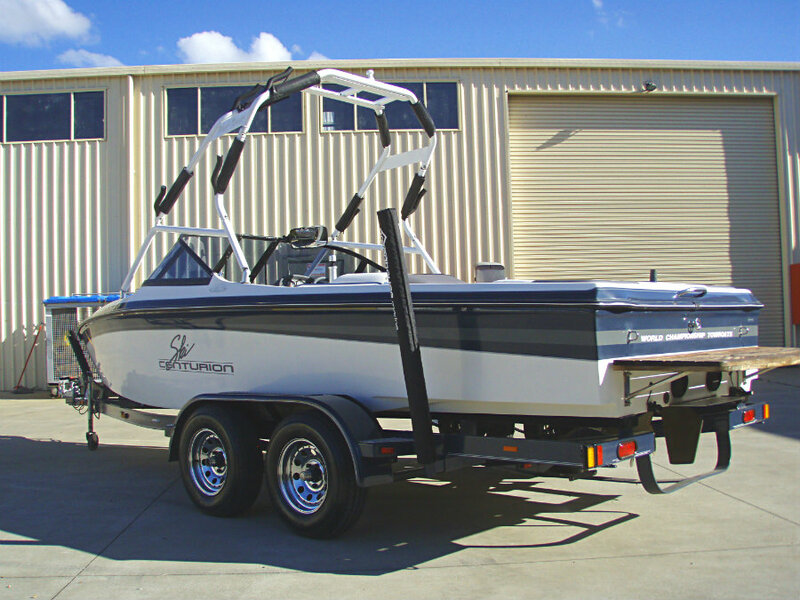 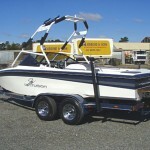 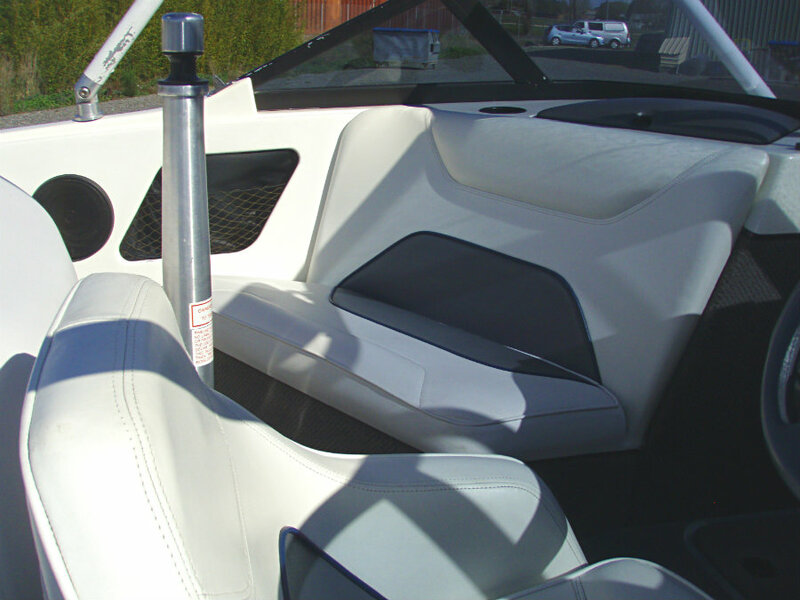 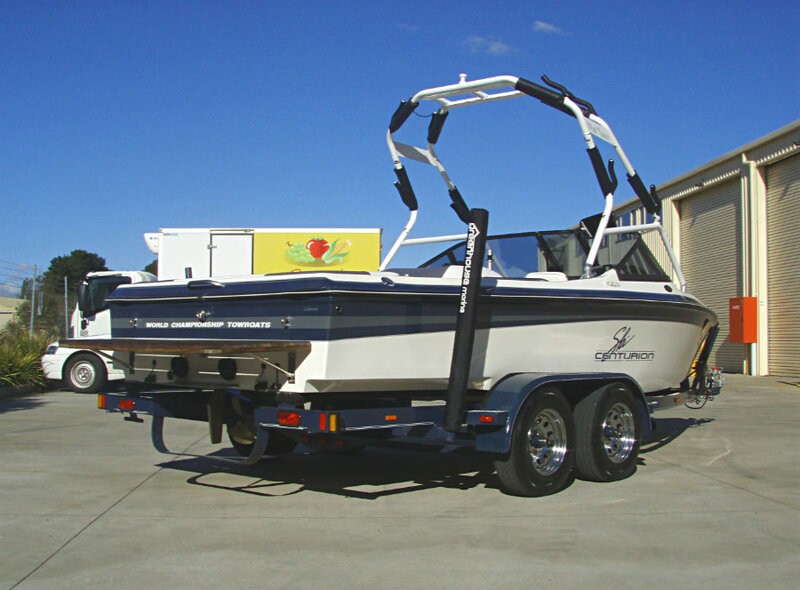 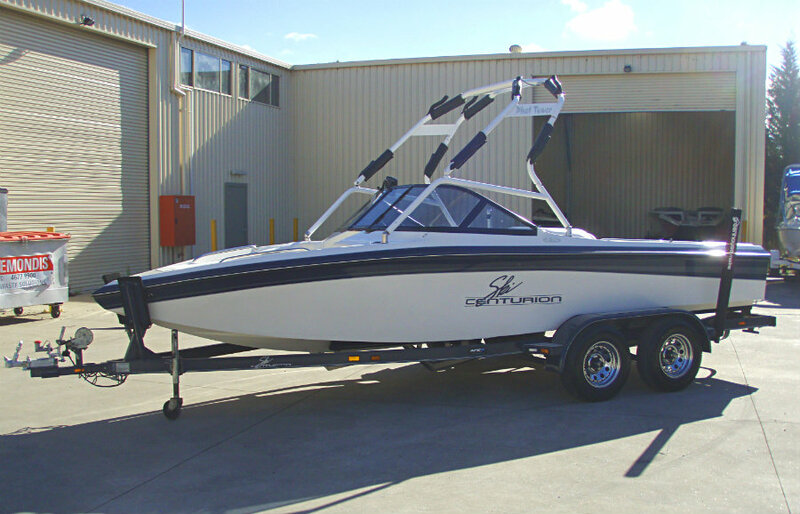 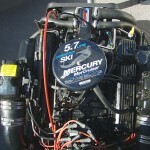 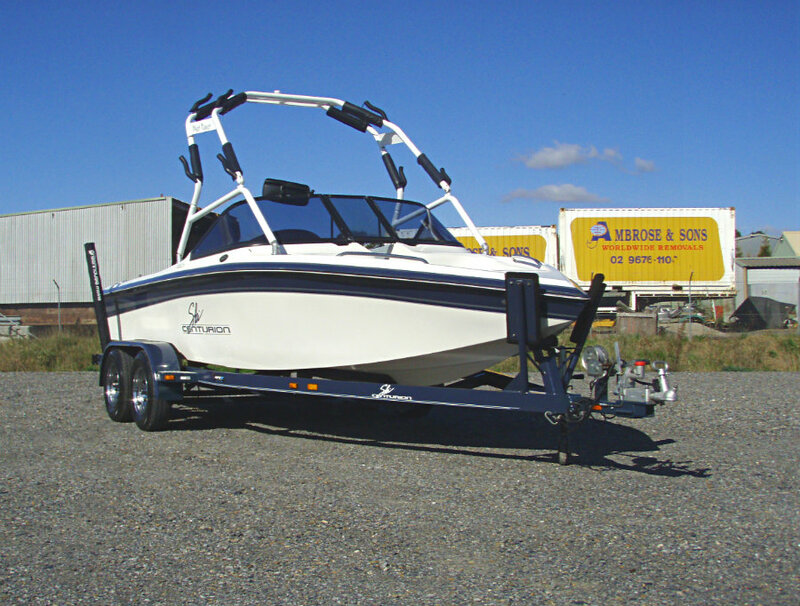 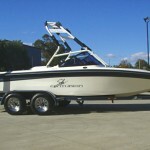 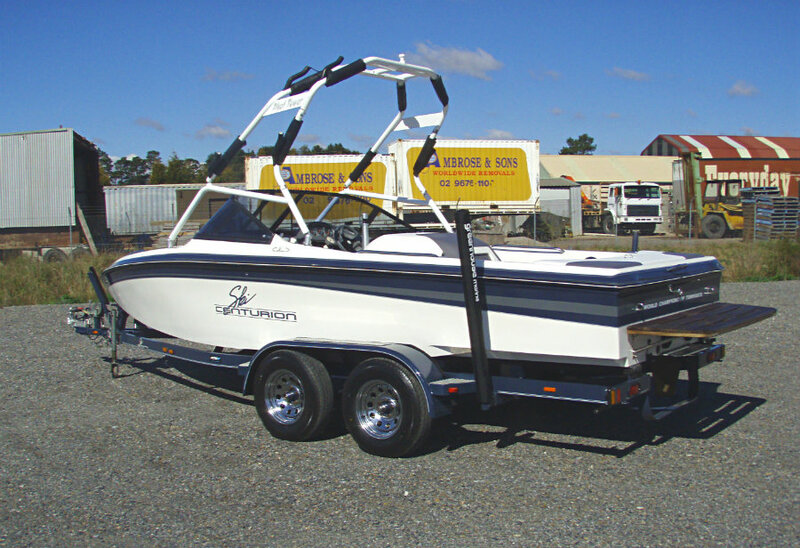 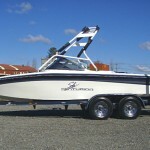 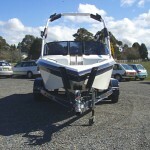 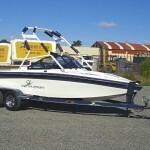 Just arrived is this 2000 Centurion Sport Bowrider ski / wakeboard boat powered by a 5.7L V8 270hp 350cui ‘Tournament Ski’ Mercruiser inboard centremount engine with direct drive (F-N-R), and only 295 hours of FRESHWATER use. 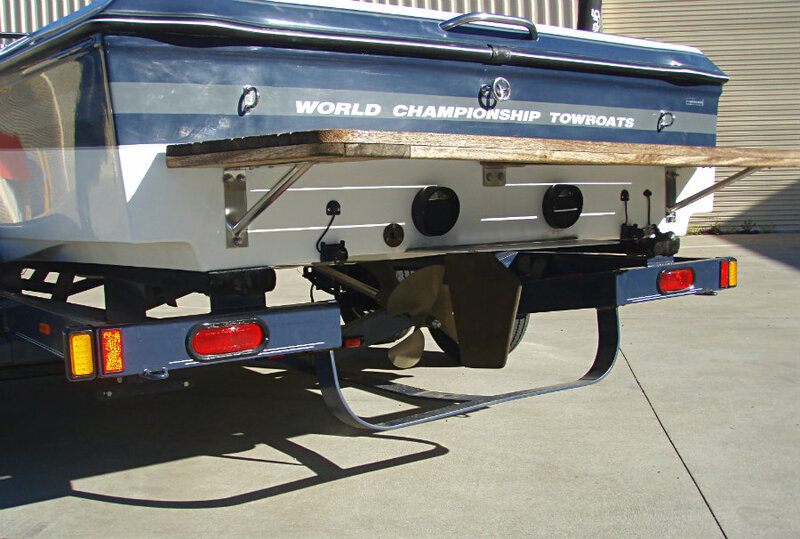 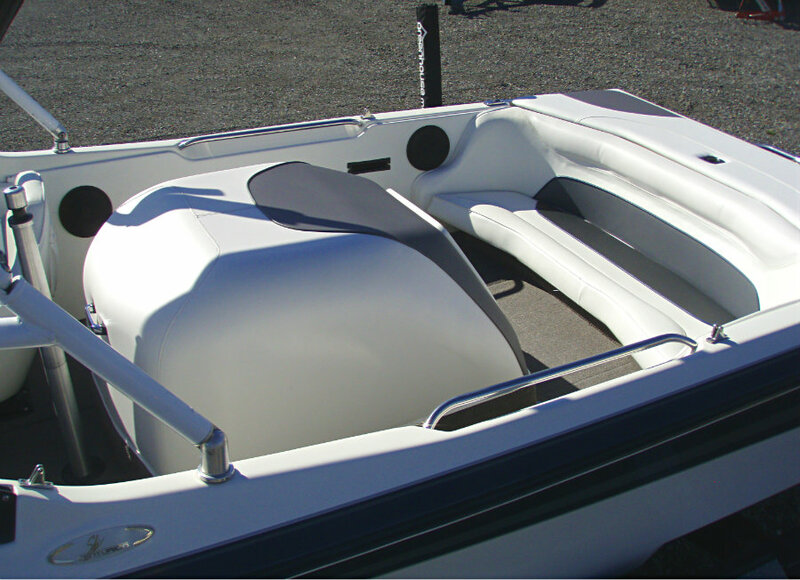 The 20′ Sport Bowrider provides tournament level skiing performance plus all the amentities, quality and comfort a family bowrider should have. 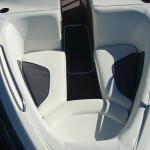 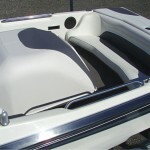 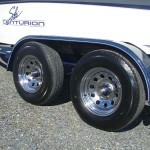 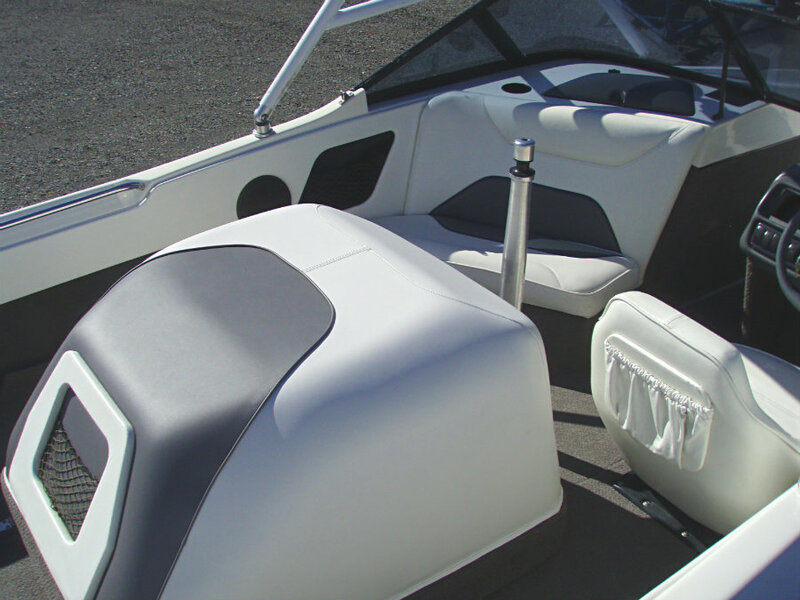 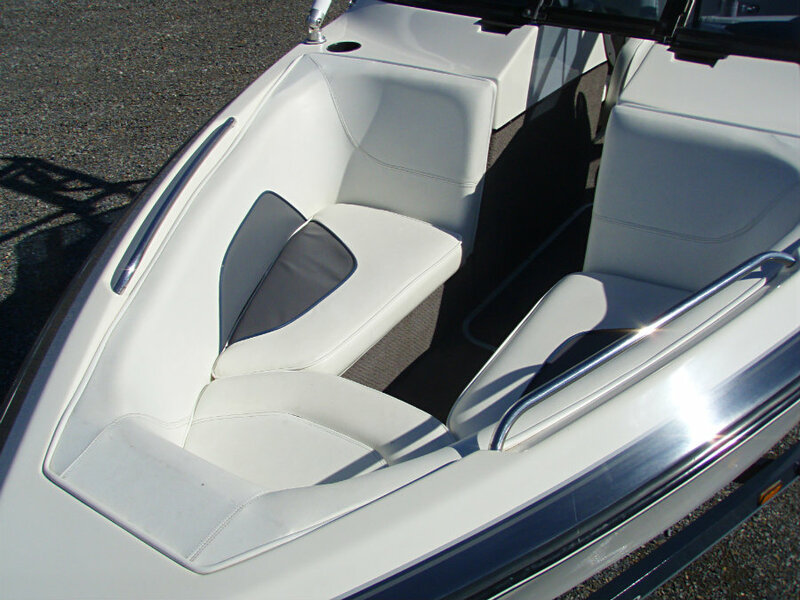 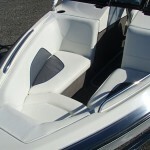 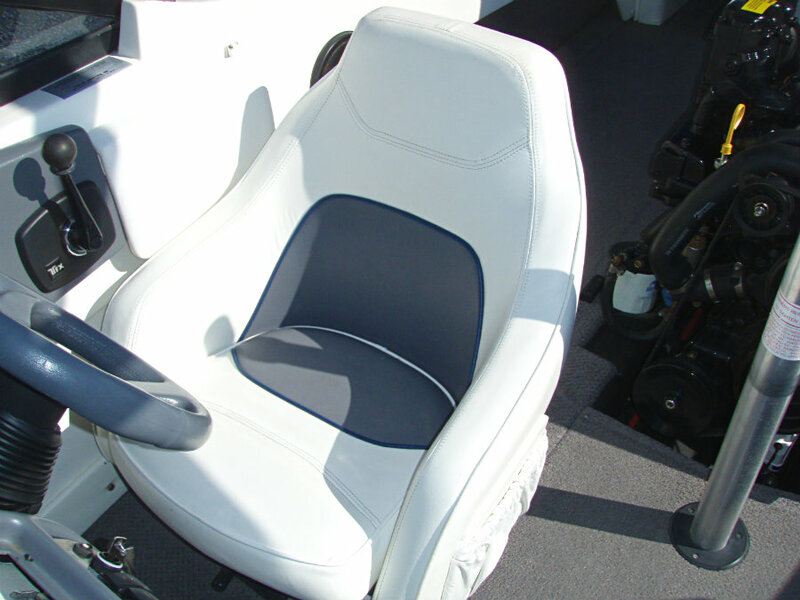 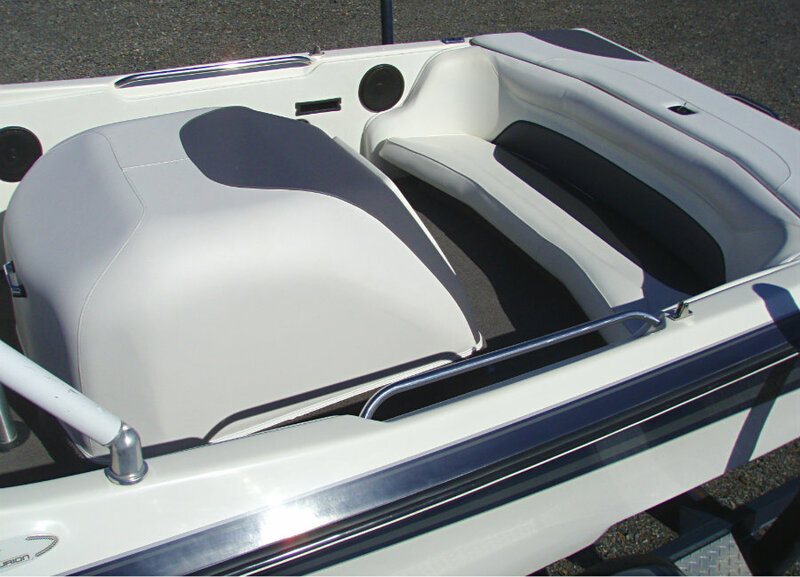 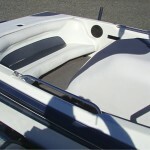 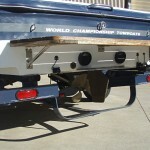 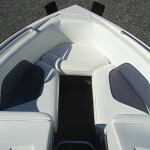 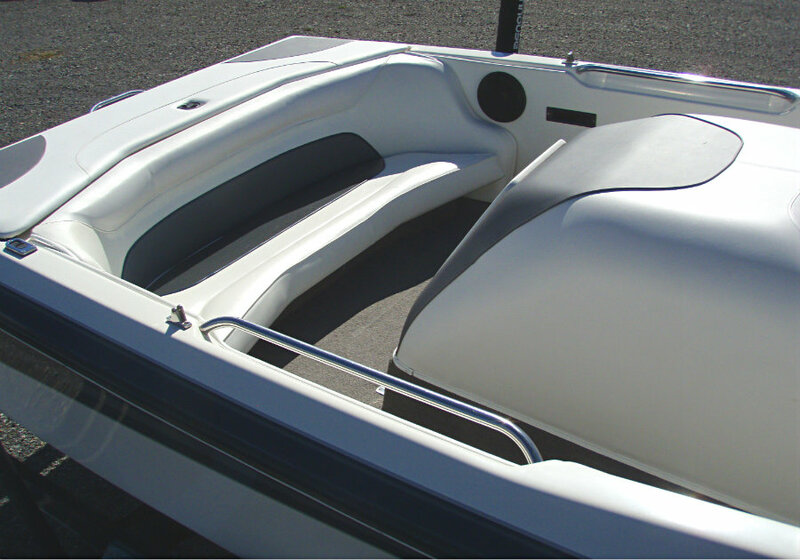 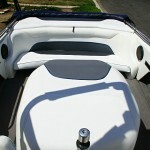 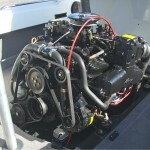 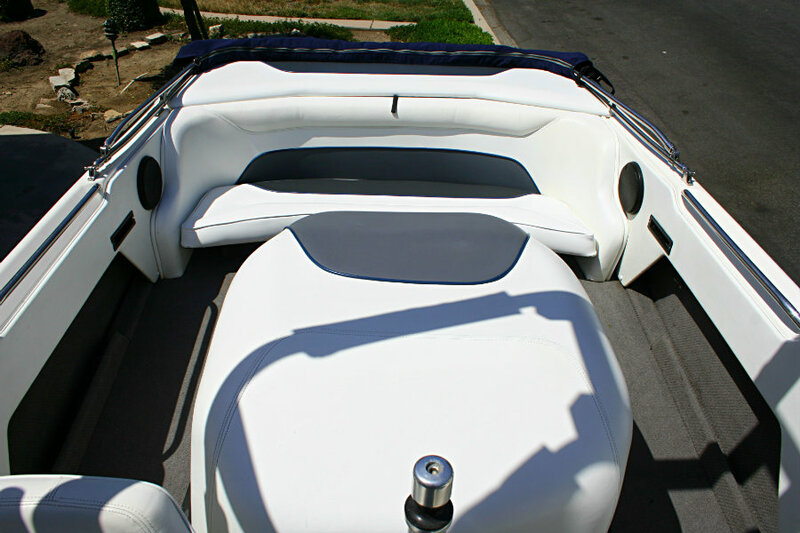 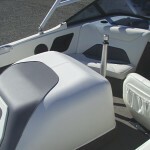 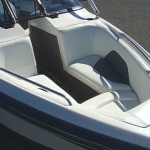 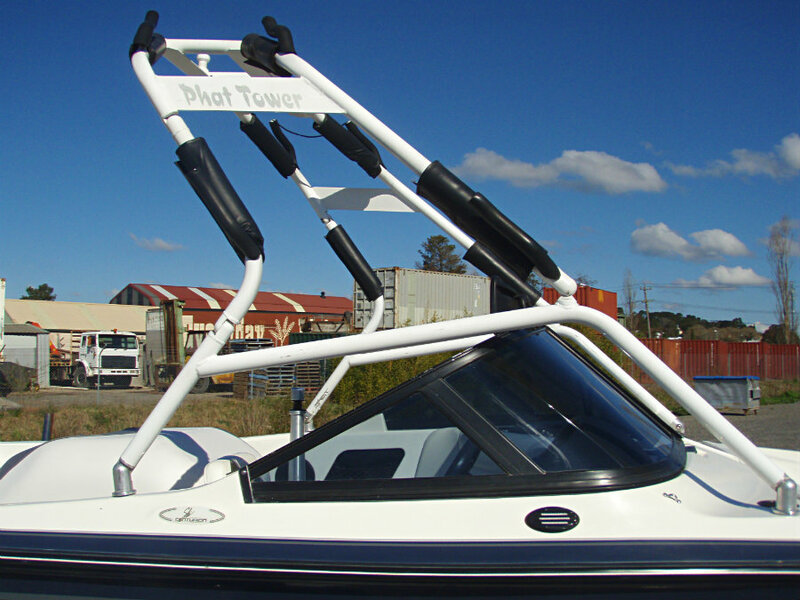 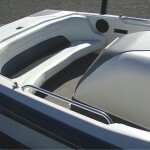 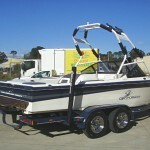 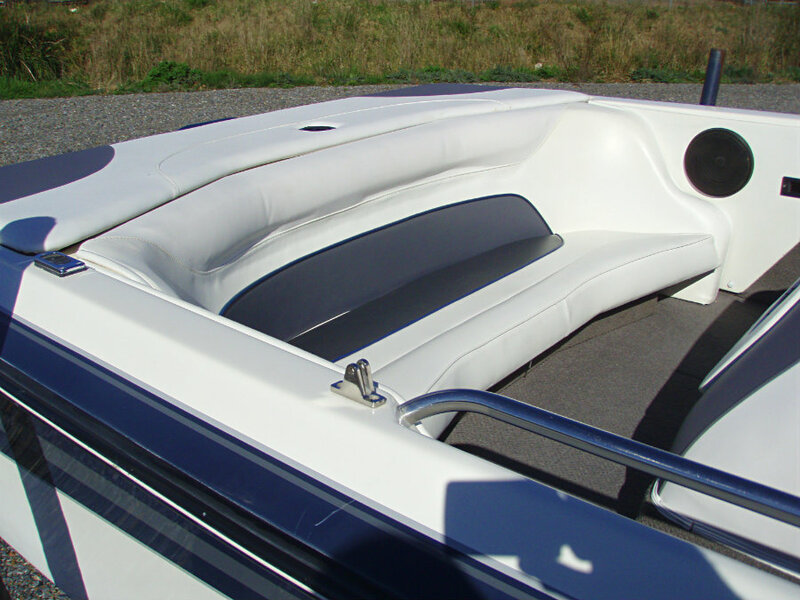 This boat is no exception, having been shown all the love and attention by it’s previous owner and it stands in testament to him for presenting us with such a clean and well maintained vessel. 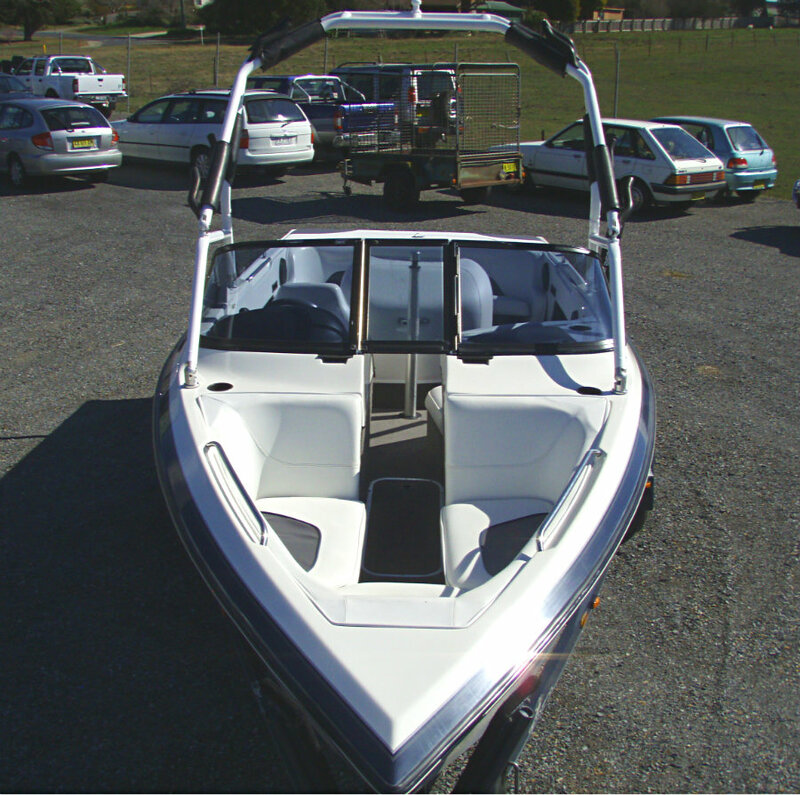 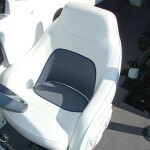 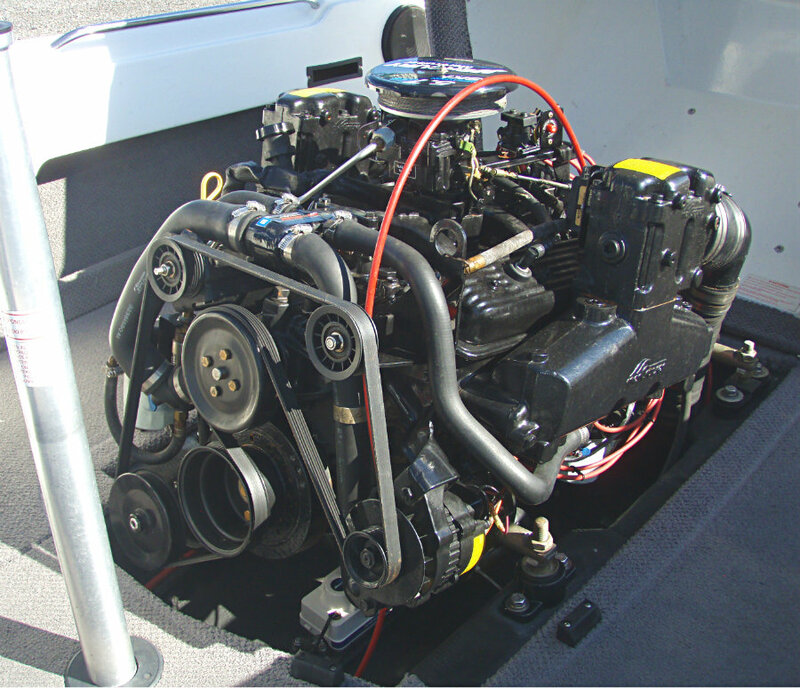 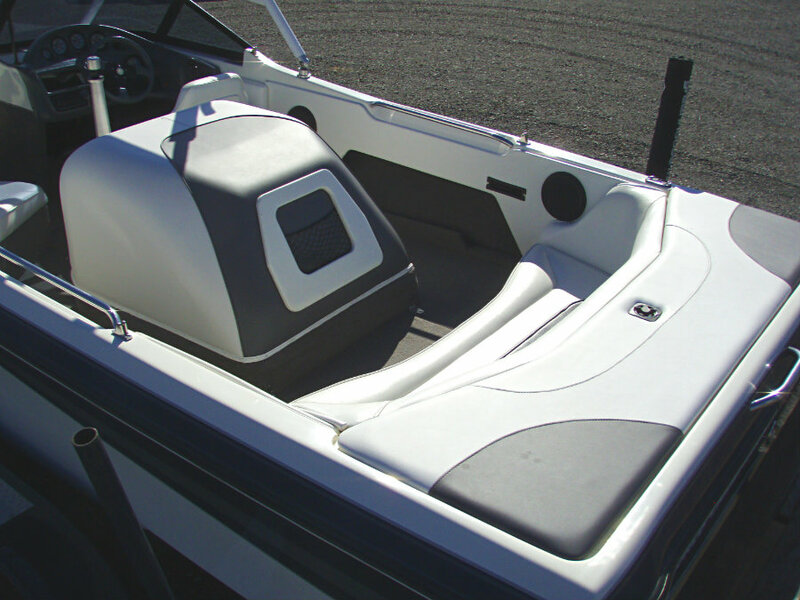 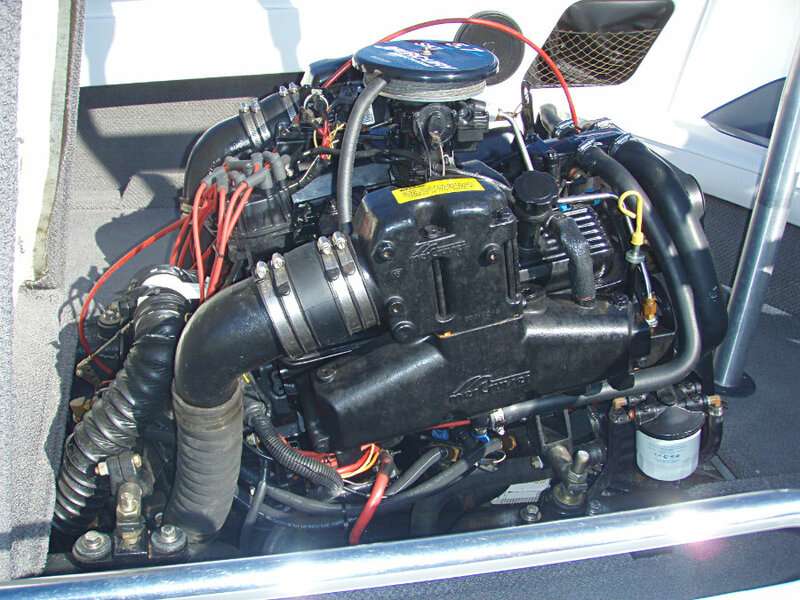 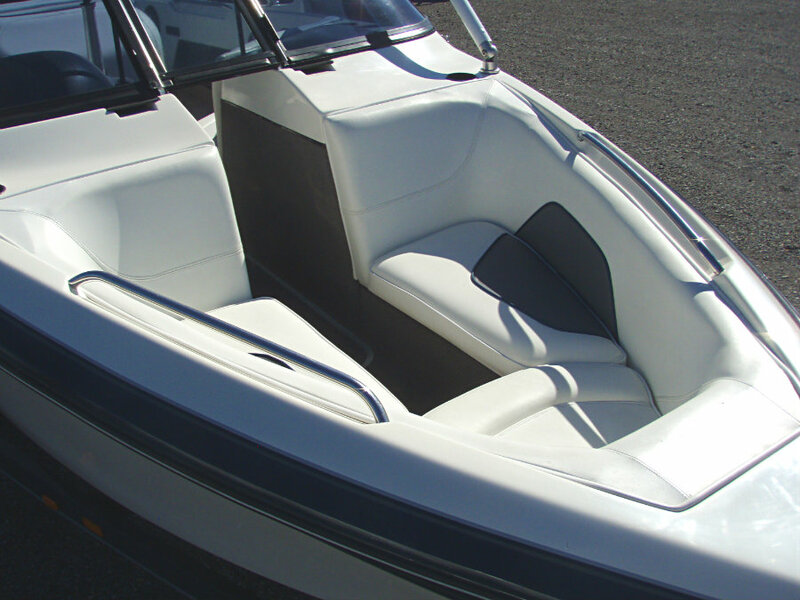 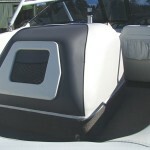 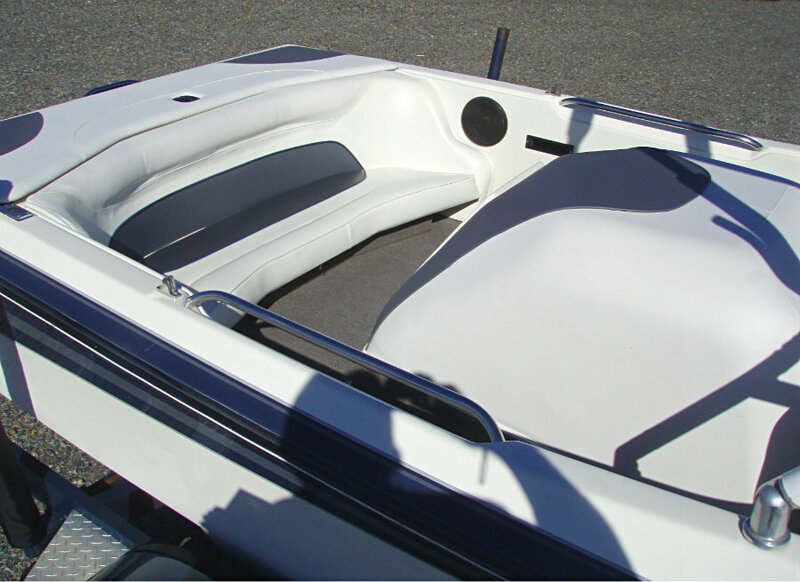 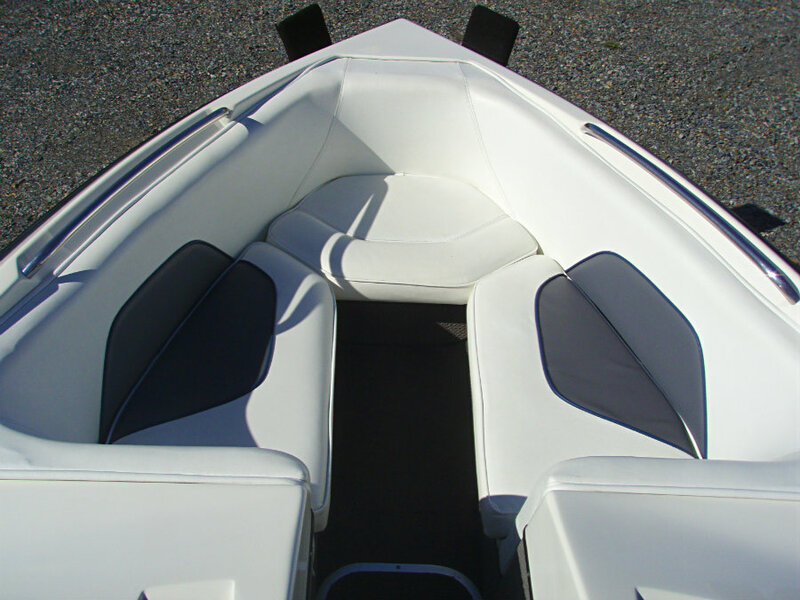 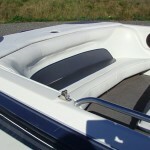 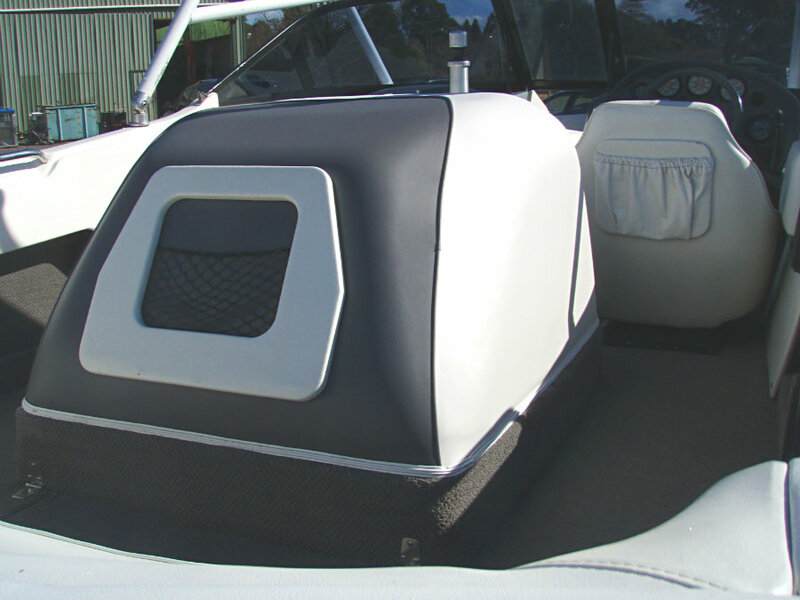 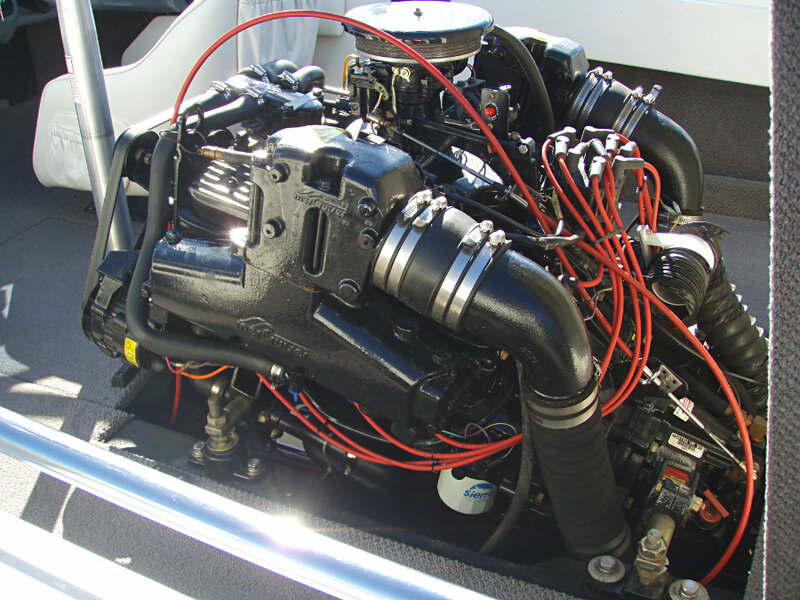 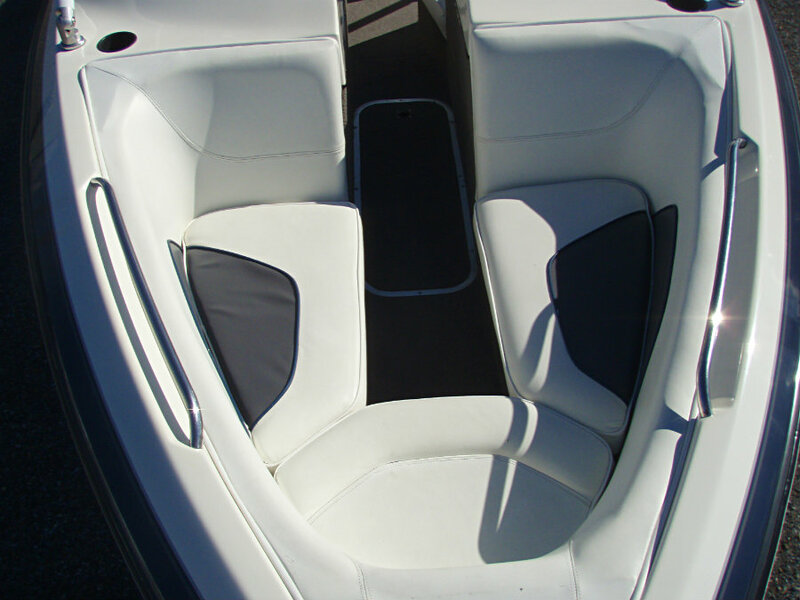 This Sport Bowrider is another one-owner boat, being cared for and regularly maintained, always garaged, only ever used in freshwater and where the gelcoat and interior upholstery / carpet are in excellent condition – this boat is immaculate!